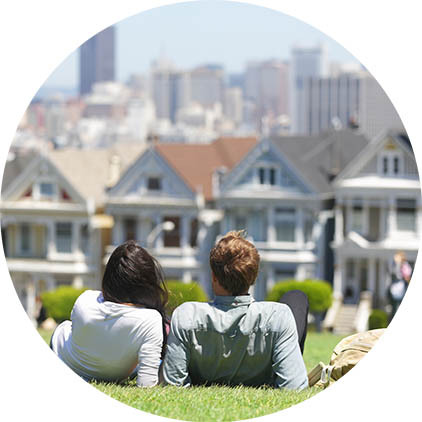 Influence Relocation Services, in partnership with Town Real Estate, invites you to enjoy a sneak peek into some of San Fransisco's finest features. 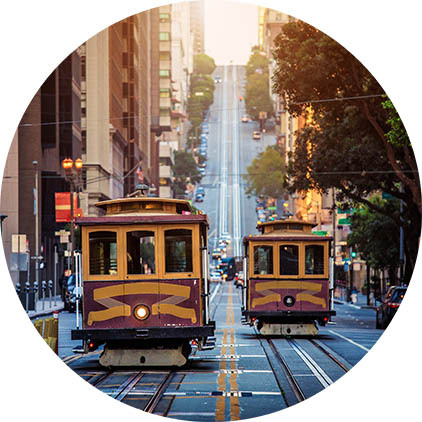 We’ve got an insider’s perspective on all San Fransisco has to offer and we love where we live. San Francisco is an amazing place to work, live and play. In addition to the historic Alcatraz Island and remarkable Golden Gate Bridge, San Francisco is also recognized as one of the top 20 most influential cities in the world. With San Francisco’s “Silicon Valley” established as the epicenter of technology, the city has a booming economy with a variety of career opportunities. Additionally, a number of educational and cultural institutions call San Francisco, and the larger Bay Area, home. With its Fisherman’s Wharf, Chinatown, Ghirardelli Square and Golden Gate Park, San Francisco offers an array of restaurants, dive bars, theaters and outdoor parks. San Francisco’s unique location gives residents plenty to do both inside and outside the bustling city. Sports fans can cheer for any of the seven professional sports teams located in the area. Residents can also discover nature’s beauty at the Maritime and Muir Woods National Monuments. San Francisco’s climate is perfect for recreational activities include hiking, cycling, boating and windsurfing. Even for the most “seasoned” resident, San Francisco always has something to enjoy.